Do you need a pair of comfortable hi-vis pants? Look no further. 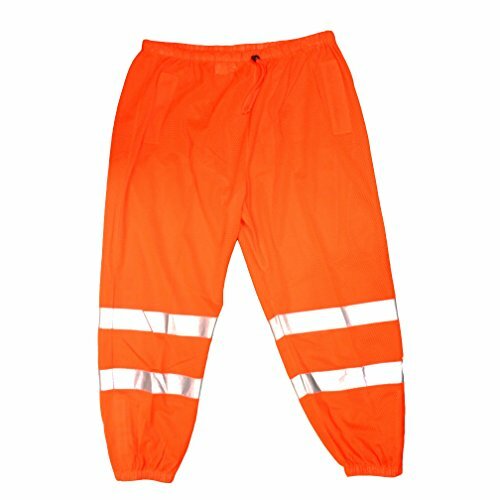 Cordova's Cor-Brite Class E orange pants are the perfect item as they offer 360 Degree of conspicuity and shiny 2-inch reflective tape. Designed with you in mind, this product features a rear pocket with a hook & loop closure as well as hook & loop closures at the ankles. These pants also meet the exacting standards of ANSI 107-2010 and offer an elastic waist with a drawstring. This item's heavy duty construction and breathable mesh fabric increases acceptance, compliance and safety--perfect for the professional that needs to be seen! (Size: Large/Extra Large). If you have any questions about this product by Cordova Safety Products, contact us by completing and submitting the form below. If you are looking for a specif part number, please include it with your message.